The mantel is all decorated for Halloween! I redrew the design that I drew for Seasons in Chalk ..added a couple more Halloweenish words.. and a garland of leaves and flowers around the Jack O lantern.. How cute does that Jack o Lantern look? 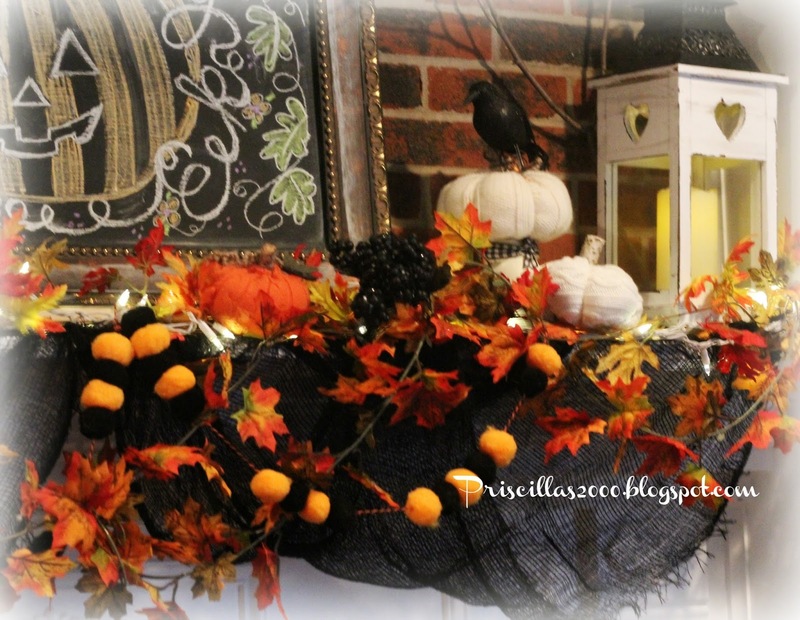 I cut a couple branches from our tree ..and added some of the crows from Dollar Tree .Sweater pumpkins also hold a crow on each side of the chalkboard.. 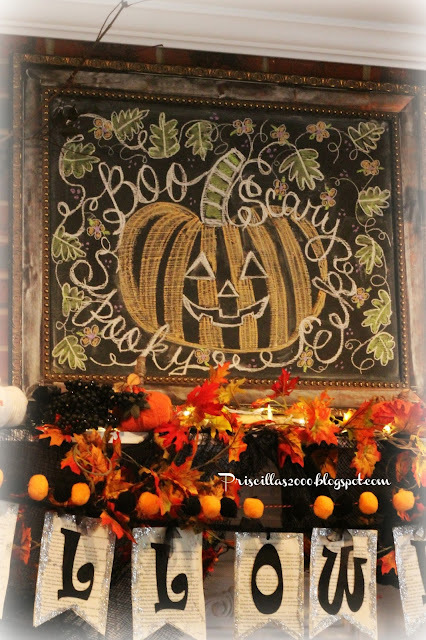 I wasn't going to use the Halloween bookpage banner I made a couple years ago but it just looked too perfect to not use it! For the garland ..there is 2 pieces of the creepy cheescloth ( dollar tree) 2 fall leaf garlands .. white lights.. the pom pom garland .. and the book page Halloween banner.. So Halloween festive! Always a Treat to see your mantel:). Love your mantle. 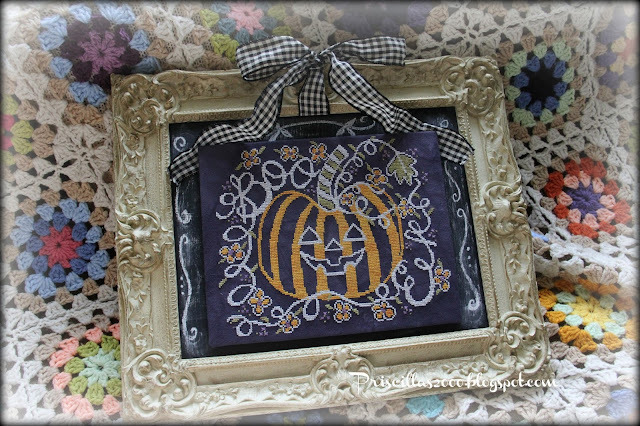 I'll be featuring you on the 31st! 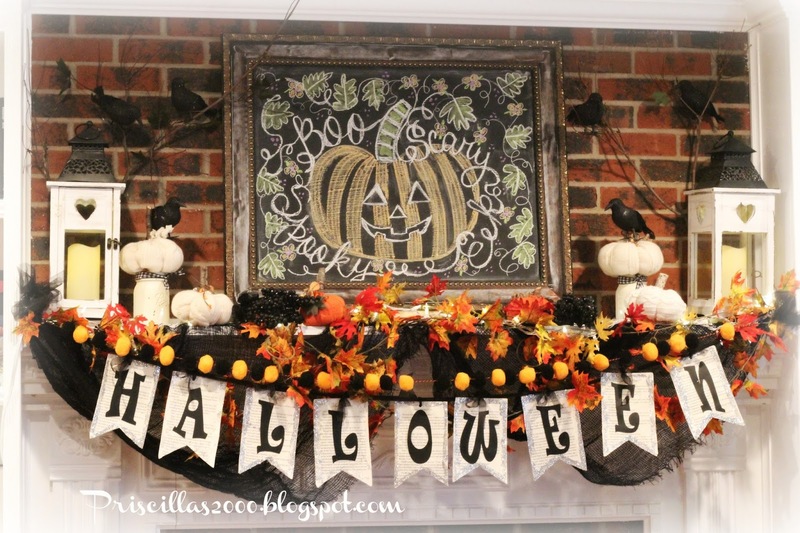 If you have any Fall theme posts I'd love you to link at the Fall Party. 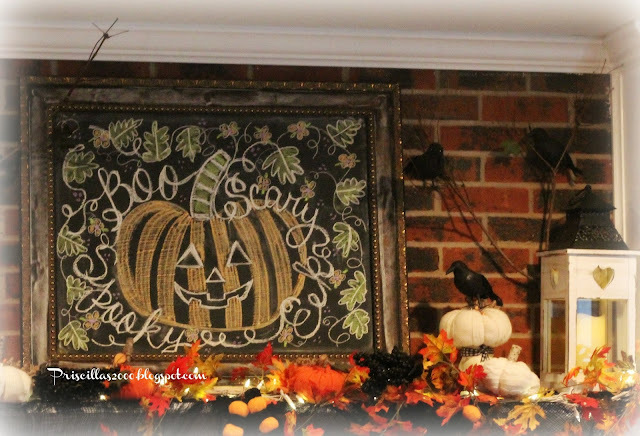 Such a cute mantle, Priscilla, and your redrawn chalkboard for October is so cute :) Love the pompom trim--I can't ever pass by the Dollar Spot at Target without buying something cute! Looks fantastic!! 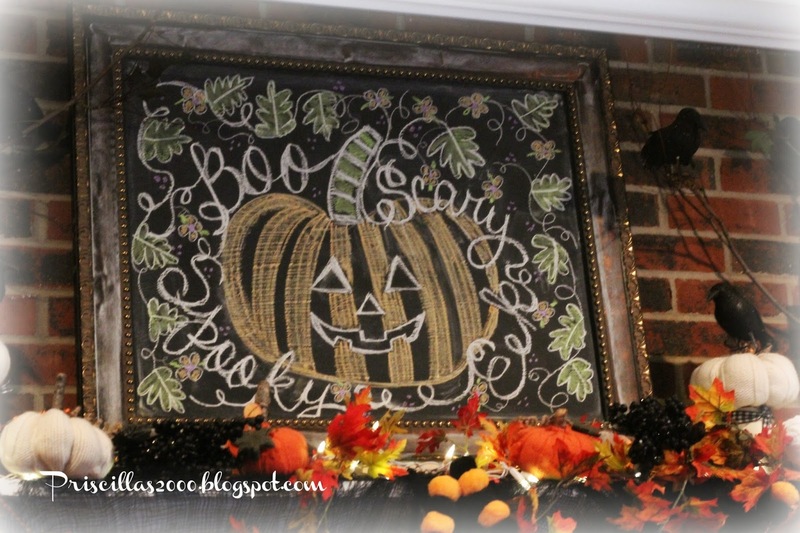 I always admire your talent for Chalkboard art! !